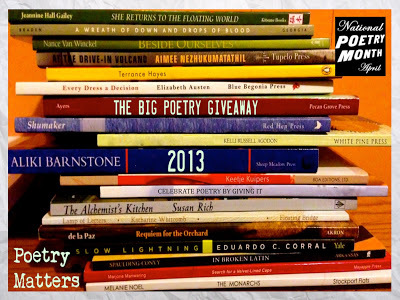 Know a working-class or Rust Belt poet in your life? If so, (shameless self promotion here), you may want to consider my December Holiday Sale. From today until the end of 2012, I’m offering both my chapbooks, Stealing Dust (Finishing Line Press) and Wearing Heels in the Rust Belt (Main Street Rag) for the price of $12! Plus, you will also get free shipping! So yes, (without trying to sound like an infomercial) you get both chapbooks for the price of only $12! If interested, drop me a note by email at KJWeyant@gmail.com.